Had this sitting in my garage for awhile and I no longer have my 00 SC. 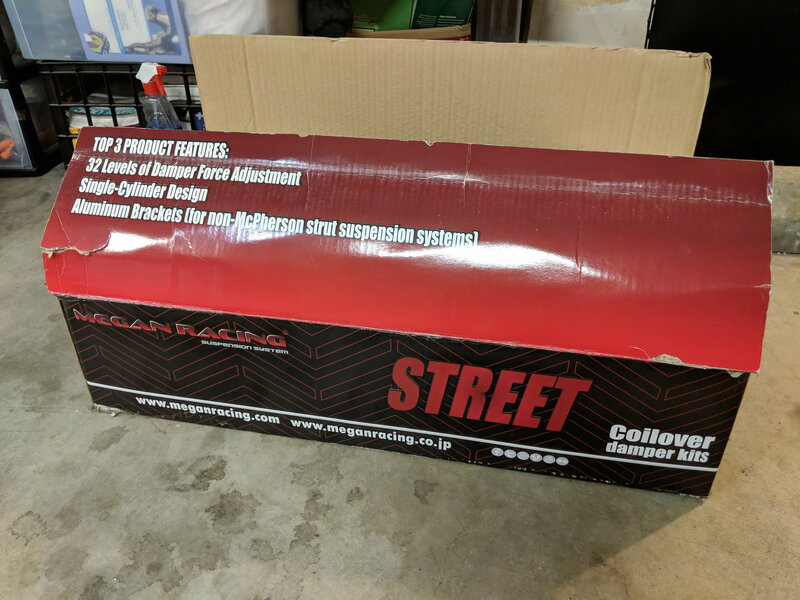 These are 32 way adjustable Megan Racing Street LP coilovers that originally retailed for $900+. 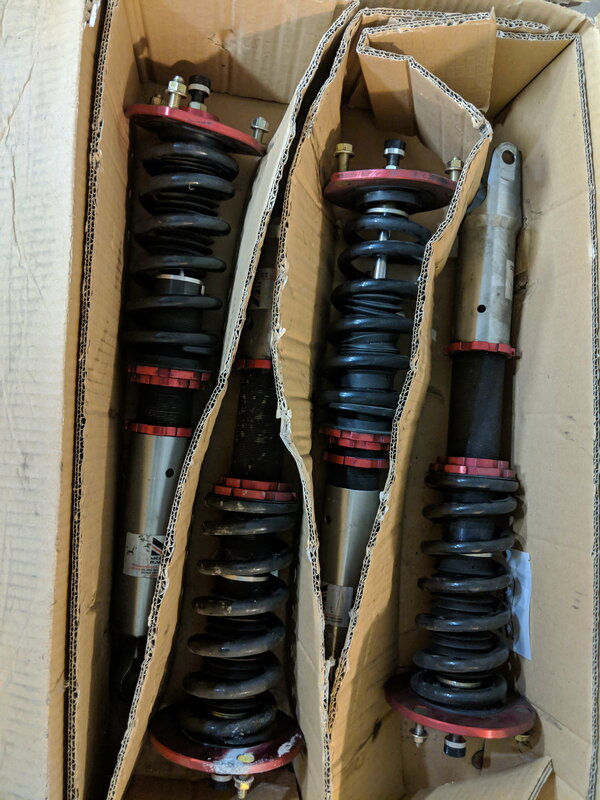 Had them on the car for less than a year before going back to stock for longer commutes to a new job. 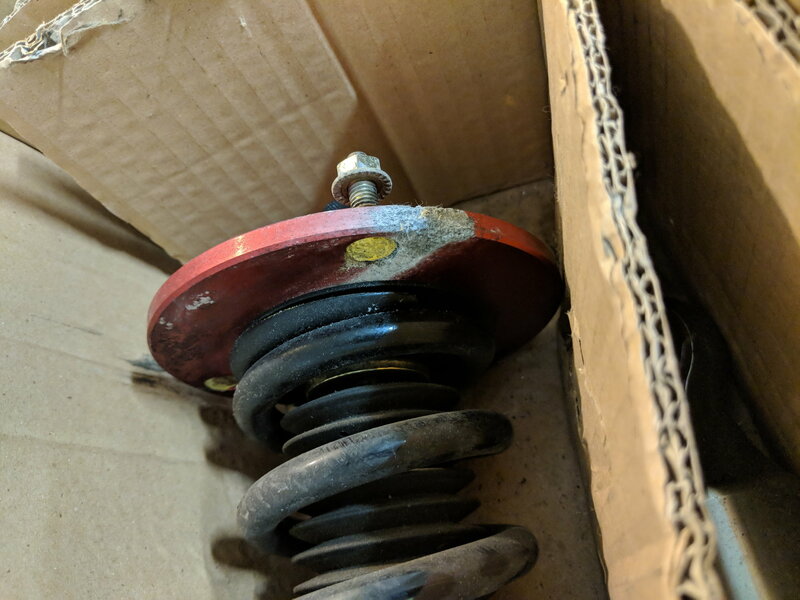 One of the shock towers appears to have been damaged cosmetically when something spilled on it while it was sitting in my garage. But otherwise, the set is in good shape and had under 9,000 miles put on it. Still looking for local buyers on these. Will ship if no one wants to pick these up locally. Still available and ready to ship! If twizted doesn't want them, I do. I think this is a dead post, No reply.